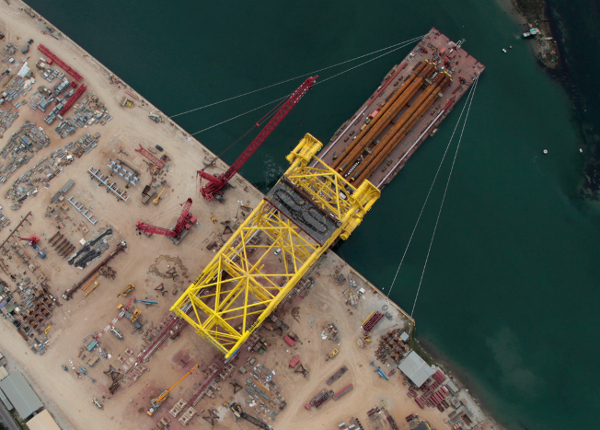 The Jasmine jacket is a 4-legs structure installed in a water depth of 81.7 m. It is provided with 5 horizontal framing plans designed to house n. 24 conductor slots. 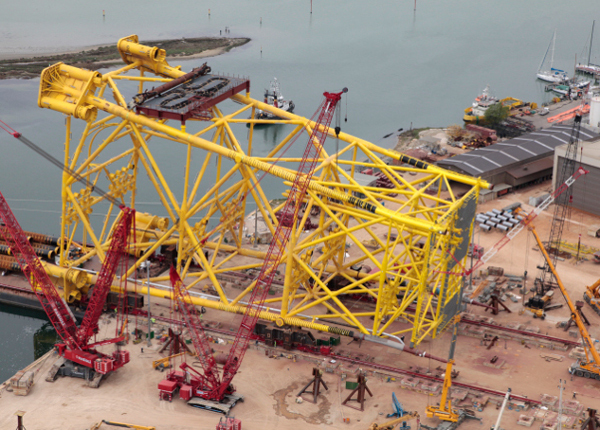 The overall dimensions of the jacket primary structure are 32.0m x 35.0m at the top (el. +21.0 m) and 51.0m x 35.0m at the bottom. The foundation system consists of n. 9 driven piles grouted into the sleeves.